As of 18 March 2019 the deposits under review have been offered by 26 banks. 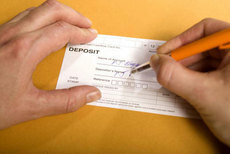 The average interest rate under such deposits equals 1,38 % p.a. The total number of the deposits programs available for the specified terms is 48. The maximal return among the deposits under review is offered by Bank of Sydney. The interest rate under "Online Term Deposit" deposit program constitutes 2,12 % p.a. The table below shows the best offers by each bank selected by Bankchart.com.au (in terms of profitability) for the aforementioned terms.